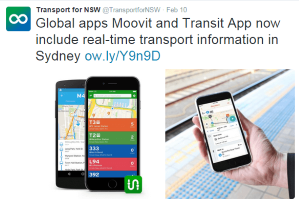 TfNSW encourages the use of transport data to produce innovative products and outcomes for our customers. To make identification of public transport easier for our mutual customers, TfNSW provides developers with official brand elements. 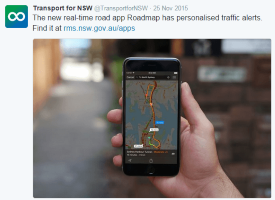 As a consumer of transport data, and as a condition of the Creative Commons Attribution Licence, it is appropriate that you attribute data you use to TfNSW. 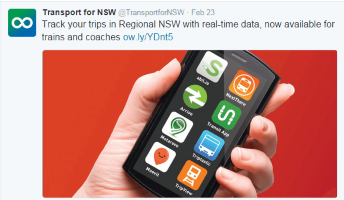 When using public transport data, please use the Transport logo to attribute the data to TfNSW. This is the customer-facing brand of public transport, including metro, trains, buses, ferries and light rail. TfNSW mode symbols are used to help customers easily identify metro stations, train stations, bus stops, light rail stops and ferry wharves on the public transport network. These are copyrighted by TfNSW, but you may use them to identify TfNSW public transport stations, stops and wharves in your app or on your website. These mode symbols are used to identify stations, stops and wharves owned and operated by TfNSW only. Do not use the mode symbols to indicate stations, stops and wharves not used by TfNSW services. 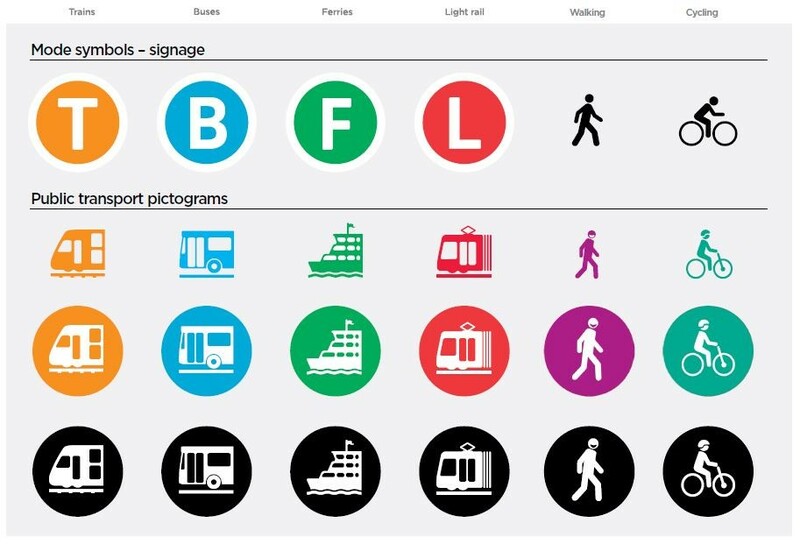 Pictograms can be used to represent public and private transport modes in NSW. They should only be used at a small and secondary scale. The included pictograms are copyrighted by TfNSW. If you require official versions of any mode symbols, pictograms or icons for your app, please have a look at the following dataset - Transport Mode Symbols and Pictograms. You may add the TfNSW Trip Planner to your website. Click here to set up the trip planner. Below is the official colour palette for TfNSW assets. We encourage the use of these in your apps.